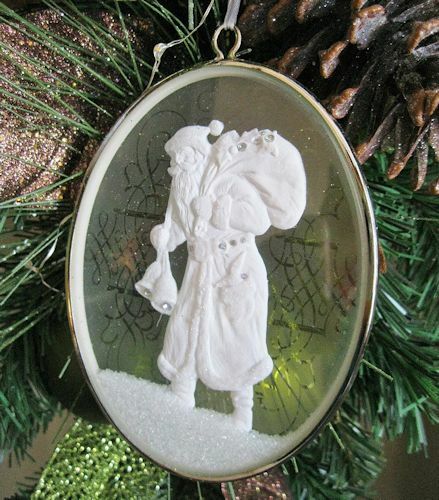 Delicate oval ornament featuring Santa and his sack. Timeless and iconic ornaments that express each artist's unique vision of the holiday with simple elegance. No matter what you call him...He is Santa.